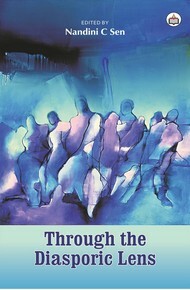 The selection of essays in this volume Through the Diasporic Lens explores the dynamics and problematics of diasporas globally. Migration and Diaspora formations, which are familiar in the twenty- first century, require a sustained study of the changing dynamics of contemporary times. The essays in this volume are divided into three broad areas: a theoretical understanding of diaspora, its literary forms and its political underpinnings. The essays delve into the dynamic of diasporic existence in all forms, thus making this book a comprehensive site for diaspora studies. It is the first in a planned series on Diaspora Studies, it features writing by research scholars and established academics, thereby spanning the entire gamut of research in this area. It will be followed by subsequent volumes focussing on the same field. Dr. Nandini C Sen is Associate Professor of English at Bharati College, University of Delhi. She was Post Doctoral Fellow at the Indian Institute of Advanced Study, Shimla and Cluster Innovation Centre, University of Delhi. She has been the recipient of the Charles Wallace Fellowship in the years 2000 and 2012 respectively for travel and Research in London. She has been awarded the Ambassador for Peace Prize by the United Peace Federation, India Chapter. Her areas of specialisation is African studies, Post-Colonial Literatures and Gender Studies.